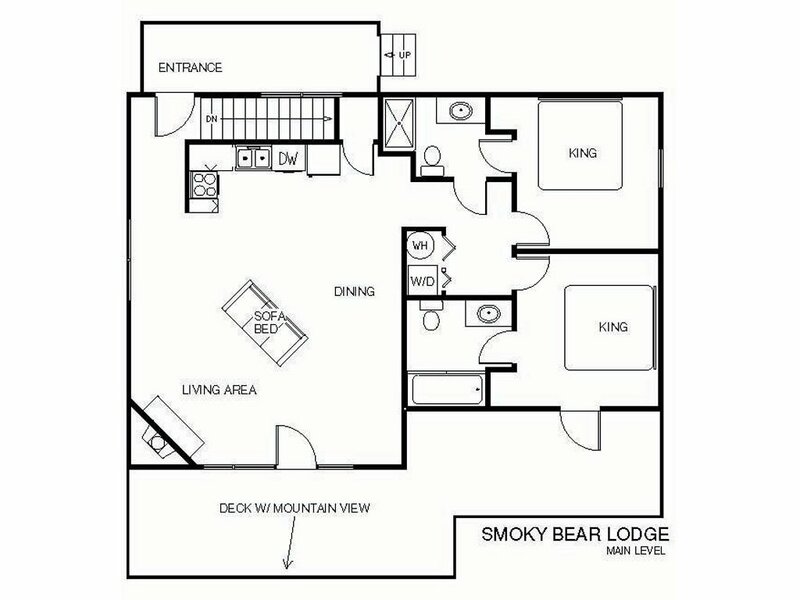 Welcome to the Smoky Bear Lodge! 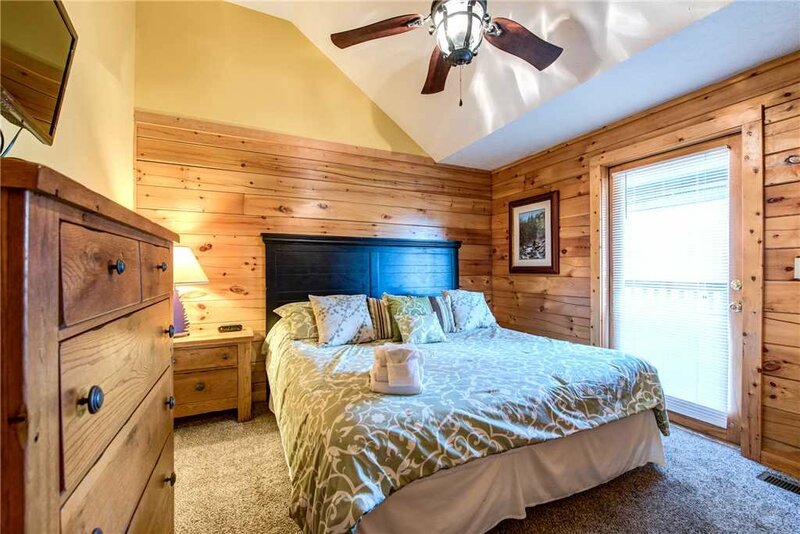 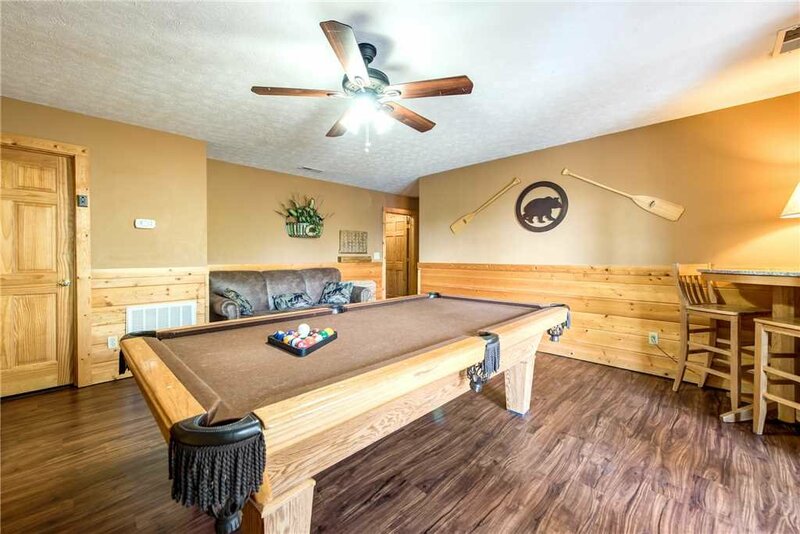 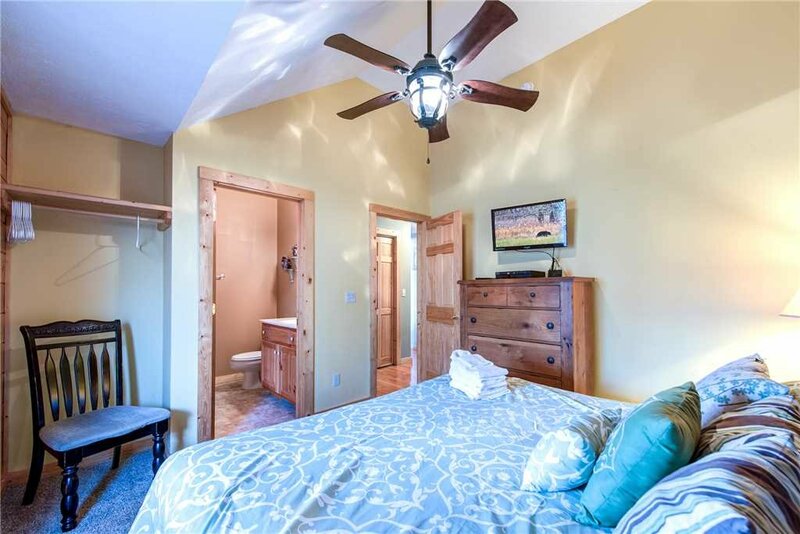 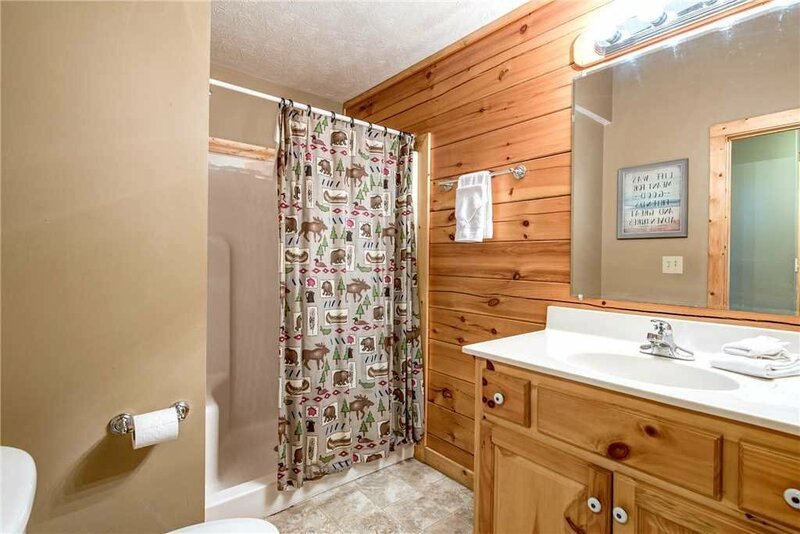 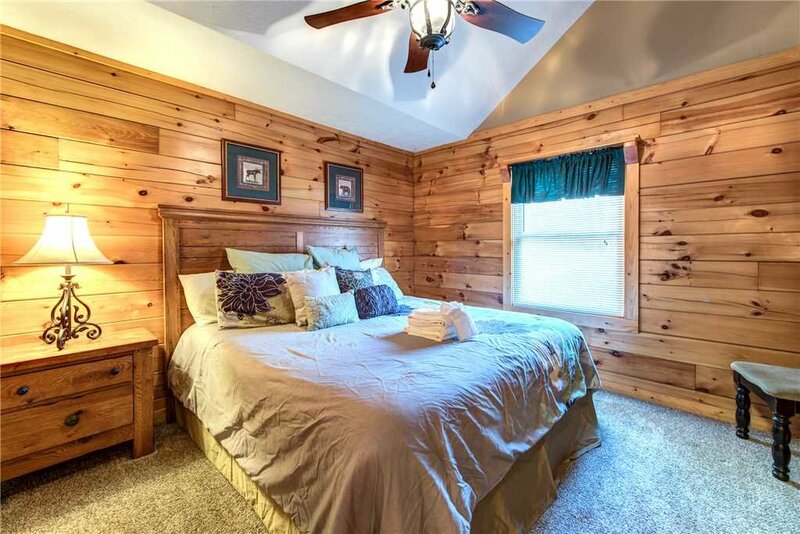 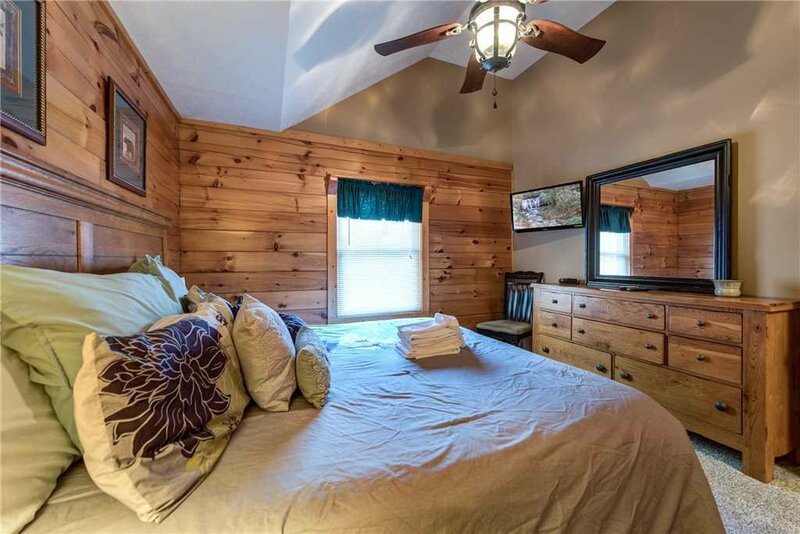 This beautiful log cabin was updated with some brand new touches and now features all new appliances, flat panel TV's in every room, fabulous carpeting, lighting fixtures, game room flooring, bedding sets and so much more! 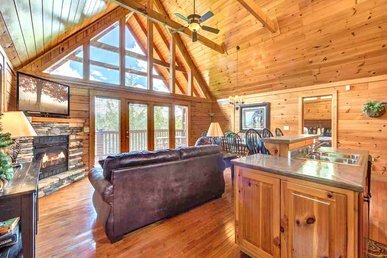 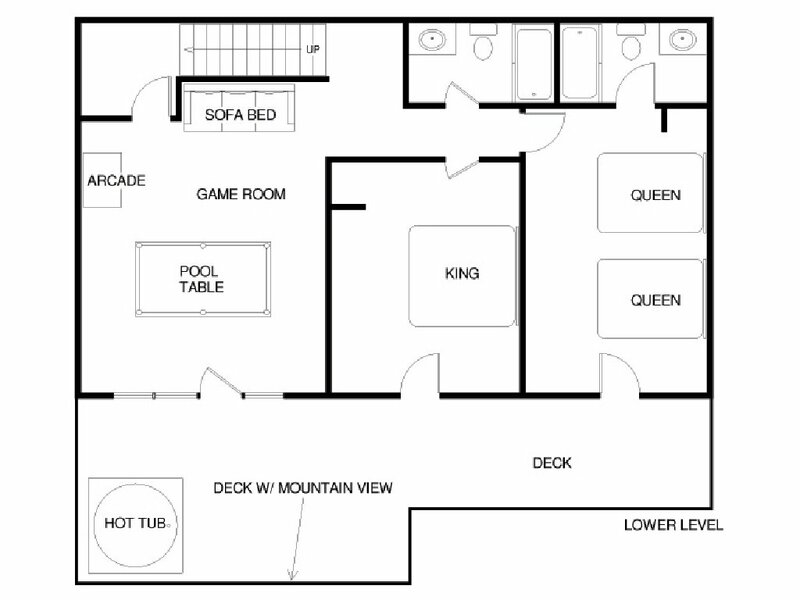 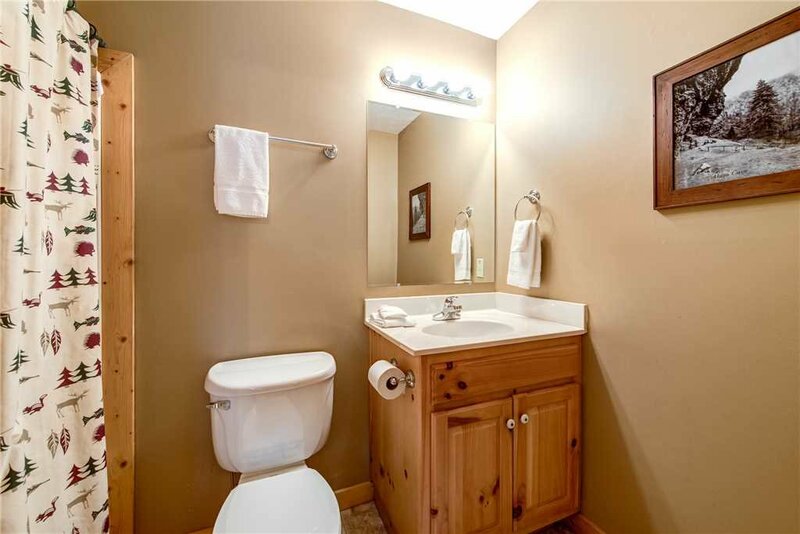 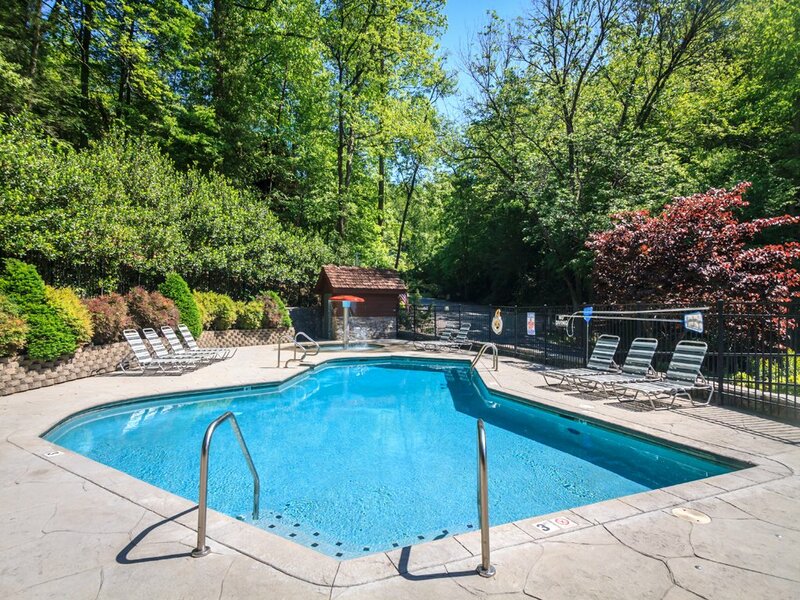 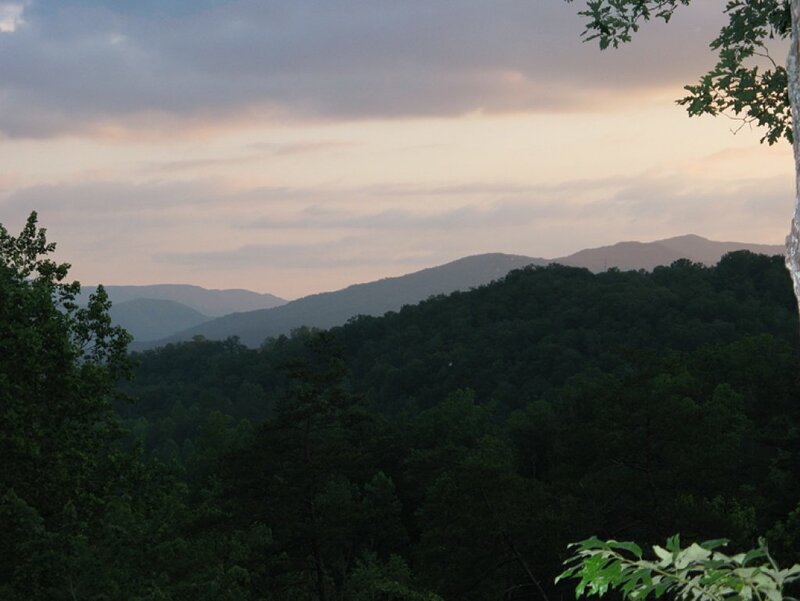 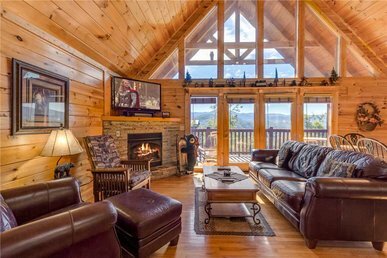 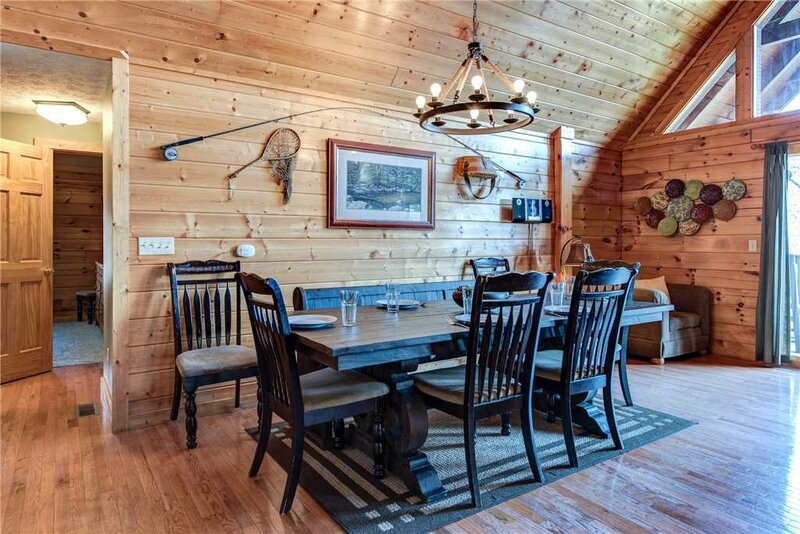 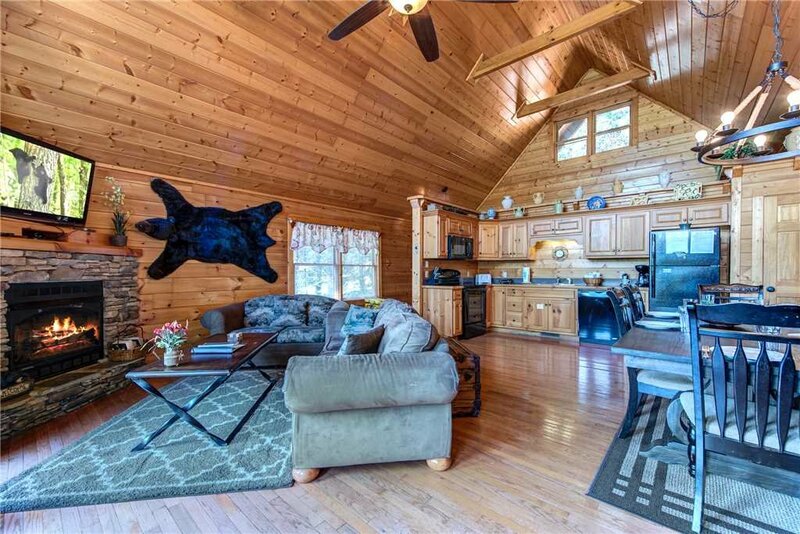 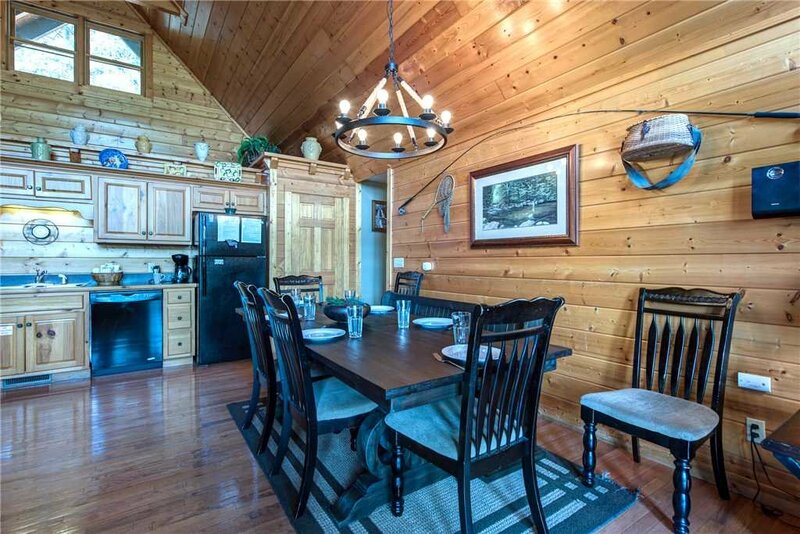 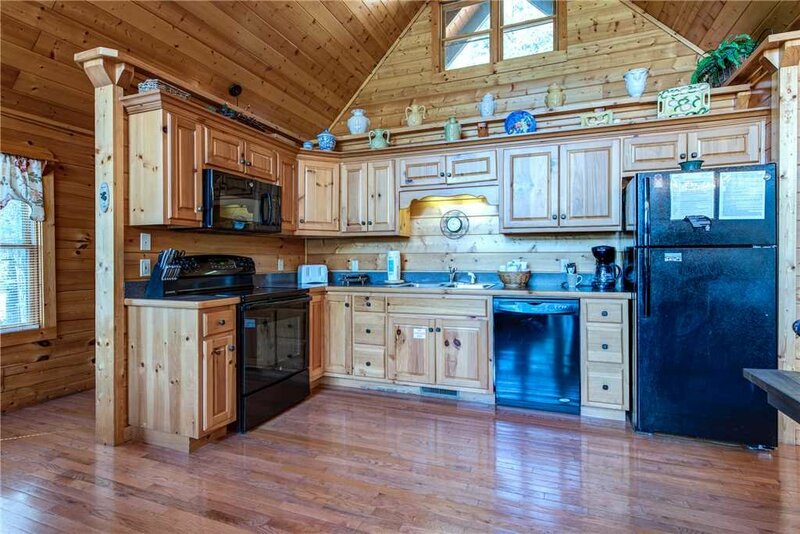 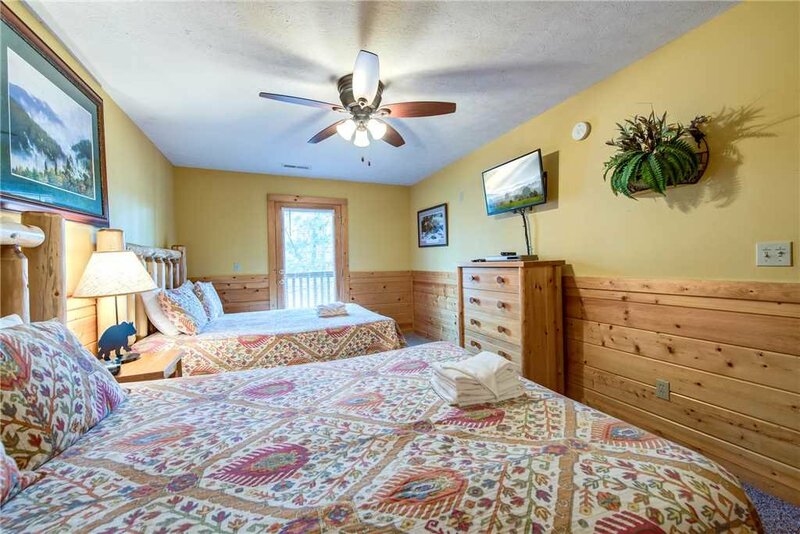 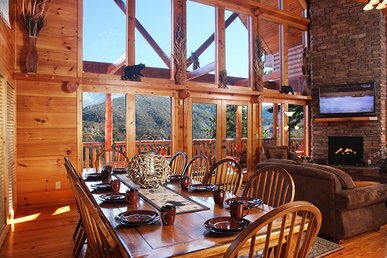 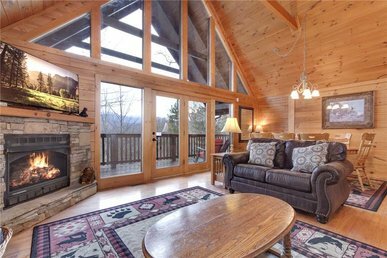 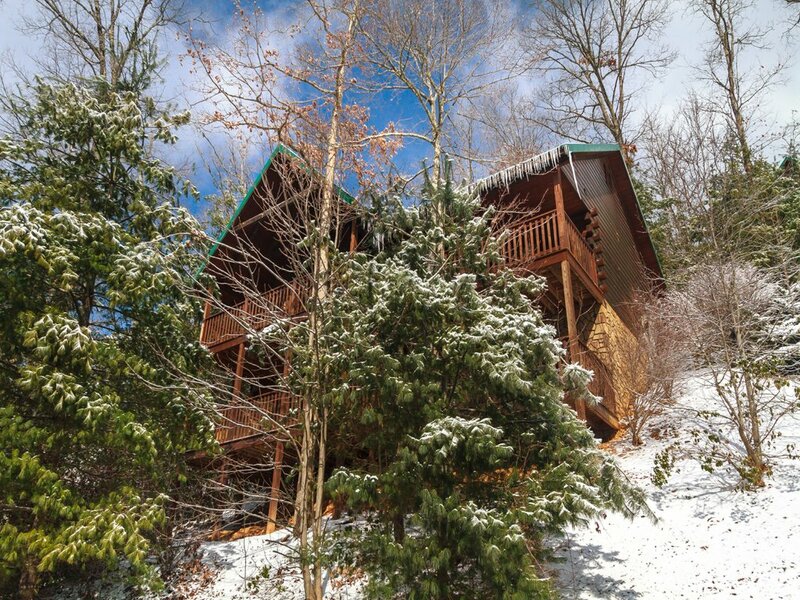 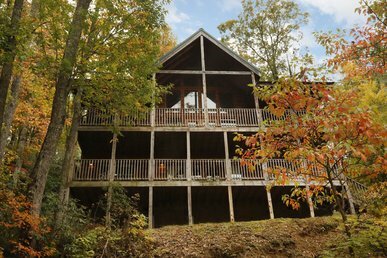 Located in the heart of the highly sought after area of Black Bear Falls, Gatlinburg's premier log cabin community, just 5 minutes from downtown and the main entrance to the Great Smoky Mountain National Park. 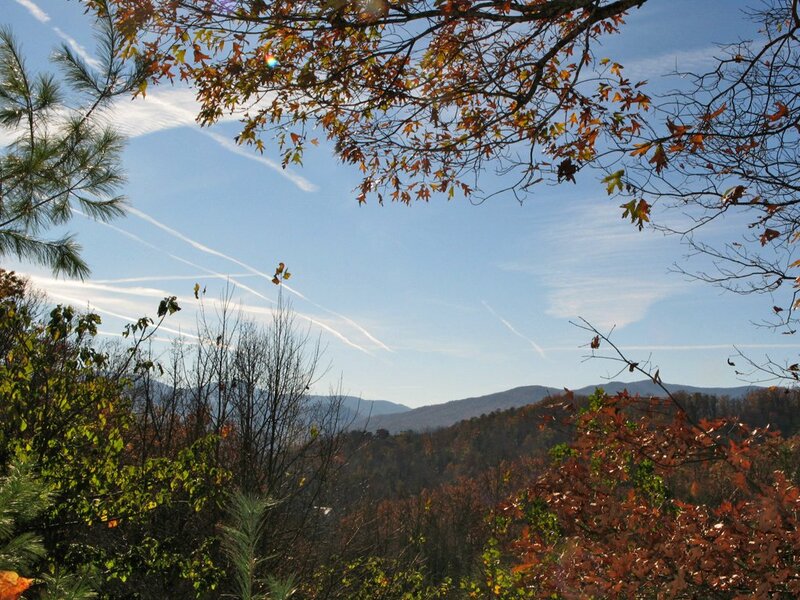 It’s also just a short drive to many other area attractions such as the famous Arts and Crafts community featuring numerous local artisans, the Rocky Top Sports Complex, Gatlinburg Community Center, Greenbriar Park entrance and more! 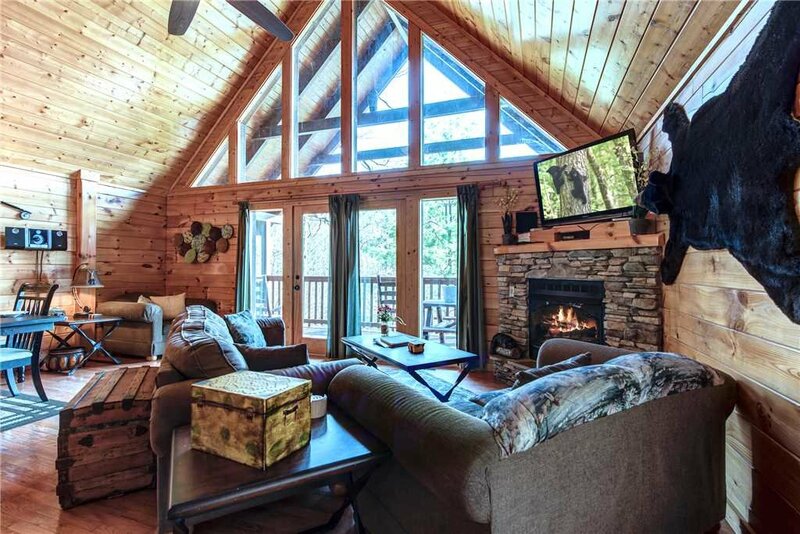 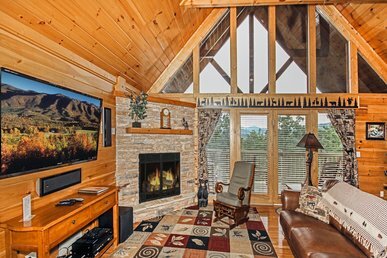 This great cabin is equipped with all of the amenities you desire with warm wood finishes, two spacious decks, vaulted ceilings, and high glass pane windows to warm and welcome you. 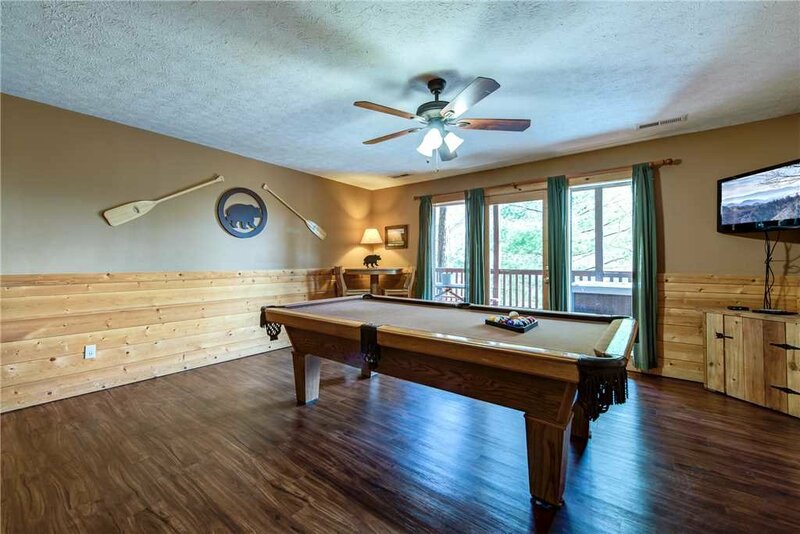 Enjoy a great game of pool with friends on the full-size pool table or grab some gaming action on the Playstation console or on the multi-arcade gaming station offering 60 classic arcade games! 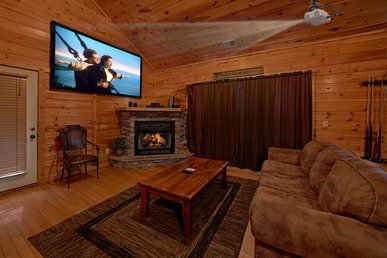 Cozy up to watch the latest movies on the 50 inch HDTV with premier cable channels in front of the glow of the gas fireplace. 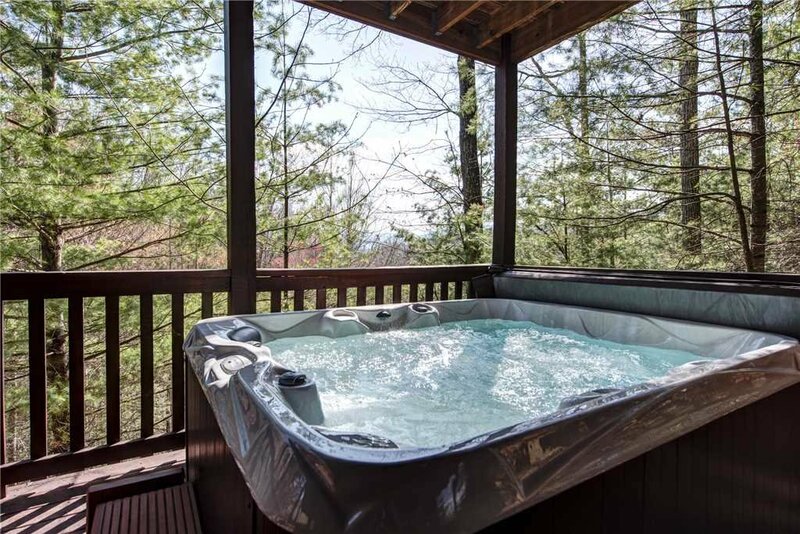 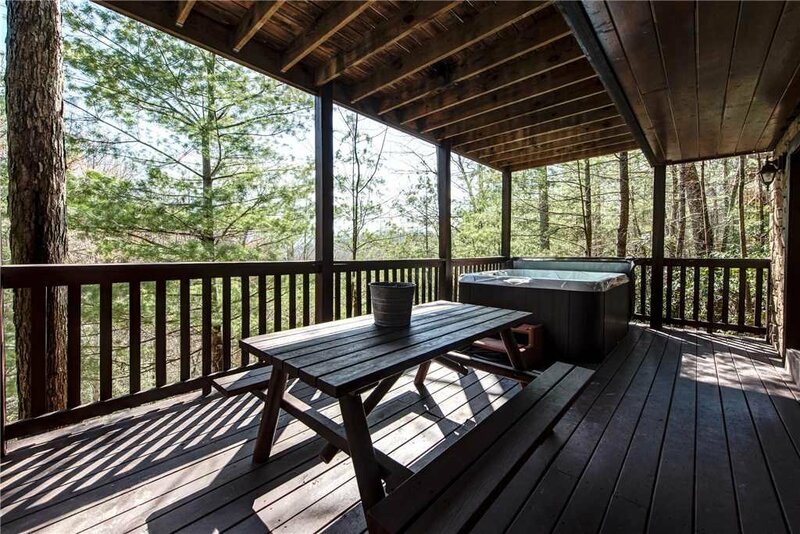 Soak in the hot tub or simply rock in one of the deck rocking chairs while you enjoy the beautiful surrounding sounds and wooded views. 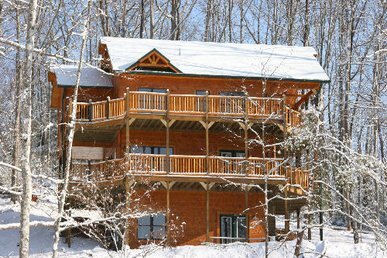 Whatever your plans, we hope you will enjoy the best of times at this ultimate and memorable Smoky Mountain location - Smoky Bear Lodge. 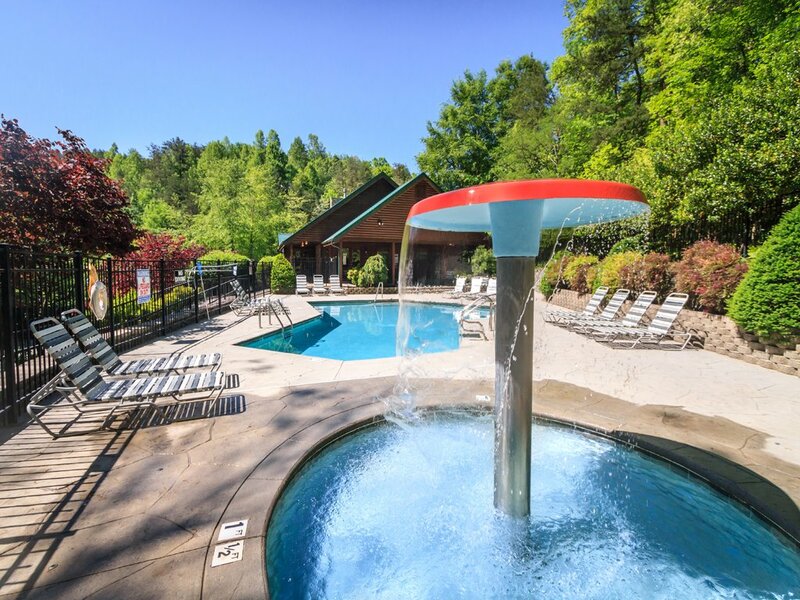 Call to inquire about specials and bookings for larger groups. 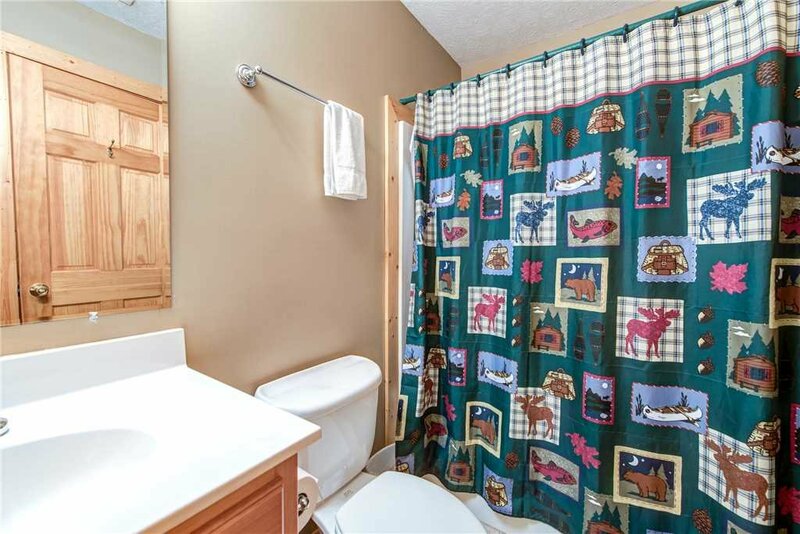 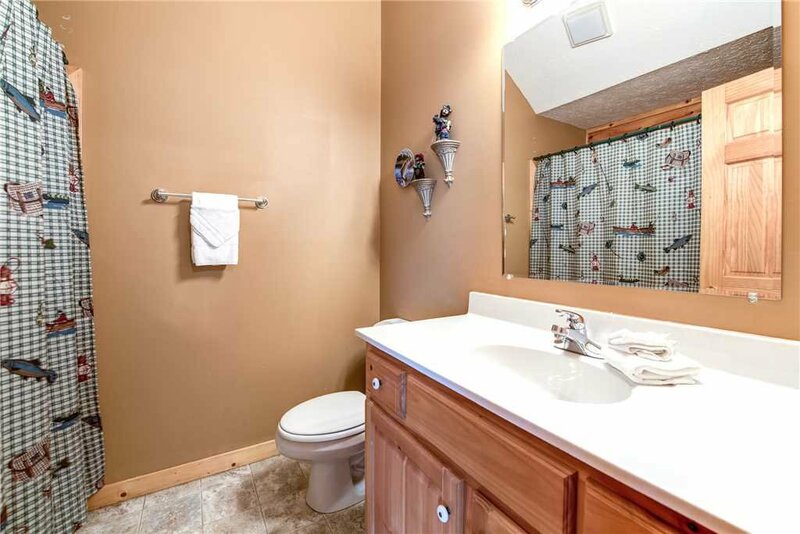 This home can be packaged with other available Black Bear Falls properties close by in the area!